Not only owns the largest population and a vast territory, China is also one of the mega-diversity countries in the world. There are 1332 species of birds recorded in China, which includes many endemic species and rare species. Among the Chinese birds, pheasants are one group of birds received more concerns. China is rich in pheasants. 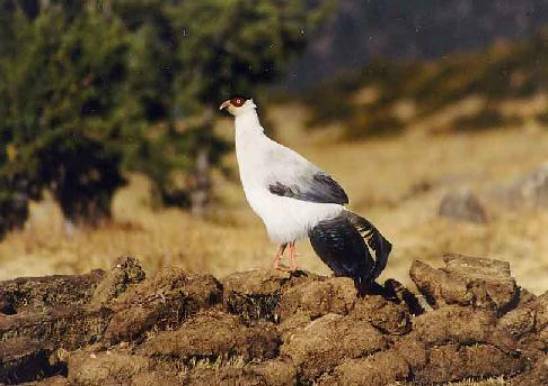 It is home to 63 species of galliformes, which includes 8 species of grouses and 55 species of partridges and pheasants. If you look the map of China, you will find an interesting fact----the shape of the country is look like a pheasant! Yes, most Chinese people like pheasants. There are more researchers working on pheasants than any other group of birds in China. Talking about WPA-China, we will never forget the ponieers and several important events happened before the formation of WPA-China. In fact, there was a long history of contacts between WPA and Chinese pheasant researchers. It was Prof. Cheng Tso-hsin, the Father of Chinese Ornithology and the founder of China Ornithological Society, who had help to establish the relationships of China and WPA. 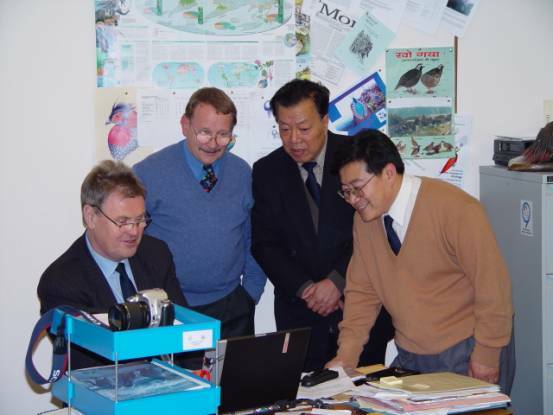 In 1978, WPA invited Prof. Cheng Tso-hsin and his student Dr. Lu Tai-chun to visit Britain and attend the First International Woodland Grouse Symposium near Inverness, Scotland It was the beginning of contacts between WPA and Chinese researchers. In 1986, Prof. Zheng Guang-mei and other four delegates had attended the 3rd International Pheasant Symposium in Thailand. During the Thailand conference, Prof. Cheng Tso-hsin was elected as the President of WPA-International. In May 1987, Mr. Keith Howman, Mr Richard Howard and Mr. Al Lee visited Beijing, and an exchange student agreement was signed by the Chairman of WPA, Mr. Keith Howman, and the Chairman of Biological department of Beijing Normal University. Under that agreement, Mr. Lew Yong, the former conservation officer of WPA, was to come to China to study Cabot’s Tragopan in Wuyanling Nature Reserve in the winter of 1986/87 with Prof. Zheng Guangmei’s team. Then in June 1988, Mr. Zhang Zhengwang , the assistant of Prof. Zheng , was to go to UK to accept one year training which organized by WPA. In September 1989, the 4th International Pheasant Symposium was successfully held in the Wofoshi (Sleeping Budda) Hotel of Beijing. The symposium was well organized by WPA and hosted by China Ornithological Society. About 200 delegates attended the Symposium which include nearly 100 WPA members from more than 10 countries. It was the first cooperation between WPA and COS. The Symposium not only encouraged more Chinese researchers worked on pheasants, but also let more Chinese people known WPA. In the early August of 1991, during the 5th Symposium of China Ornithological Society in Changchun, Prof. Zheng Guang-mei, a famous Chinese ornithologist who had worked on Cabot’s Tragopan for ten years, was elected as the new President of the Society. Four Specialist Groups of COS were set up at the Symposium. One of them was the Pheasant Specialist Group. With the encouragement of Prof. Cheng Tso-hsin, the Pheasant Specialist Group of COS which Prof. Zheng Guang-mi and Prof. Xu Weishu were in charge, applied to become a chapter of WPA-International. The application was warmly welcomed by WPA and an agreement was signed by Prof. Zheng Guangmei and Mr. Keith Howman in October 1991. Therefore, a new Chapter of WPA-International was born, that was WPA-China. Different from other chapters, WPA-China is composed of many professionals. It has about 100 members all over the Country. Most members are researchers from universities, research institutes, a number of members from nature reserves and zoos. The main activities of WPA-China are scientific research and conservation of Chinese galliformes. It concerns all species of grouse, pheasant, partridge, quail and francolin in China, and more attentions are paid to the studies and conservation of the rare and endangered species. 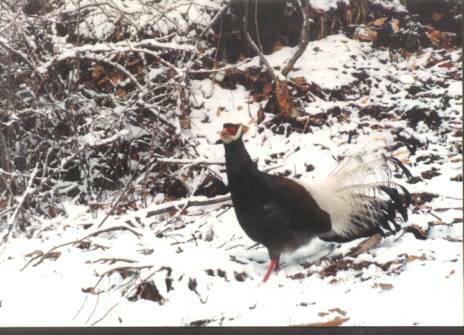 Since 1991, WPA-China has carried out a lot of research projects on galliformes and a number of pheasants are well studied by our members, which include Chinese Grouse, Cabot’s Tragopan , Brown Eared-Pheasant, White Eared-Pheasant, Tibetan Eared-Pheasant, Silver Pheasant, Golden Pheasant, Reeve’s Pheasant, Elliot’s Pheasant, Blood Pheasant, Sichuan Hill-partridge, Hainan Hill-Partridge and Chinese Ring-necked Pheasant. Most of the research work concentrate on the biology and ecology of these species. Besides, several captive breeding projects have been started and going on as well. For example, the captive population of Cabot’s Tragopan has been established and F7 offsprings had been bred since 2000. In the big family of WPA-International, WPA-China has been received much concern and support from the other chapters. Although the major parts of research projects conducted by WPA-China were supported by the National Natural Science Foundation of China, there are also a lot of projects got supports from WPA-International and its Specialist Groups, as well as other chapters such as WPA-Germany, WPA-USA. WPA-China has good relationships with WPA-Pakistan, WPA-India and WPA-Thailand. 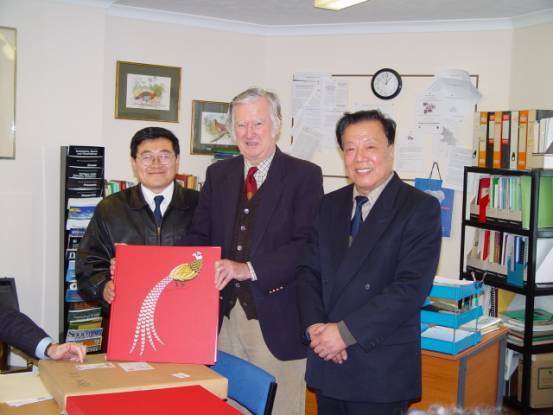 In January 2003, Prof. Zheng Guangmei and Dr. Zhang Zhengwang were invited to visit the Headquarter of WPA-International at Fordingbridge, which had strengthened the ties between China and WPA. Since 1991, WPA-China has organized delegations to attend most of WPA Symposiums of grouse, pheasant, partridge, quail and francolins, which include the symposium in Fordingbridge of UK(1991), in Lahore of Pakistan (1992), in Malaysia(1997), in Nepal (2000) and in India (2004). In 1995, the first Chinese Pheasant Workshop was successful held by WPA-China in Qiyang, Gansu province. A proccedings of the workshop was published during the conference. 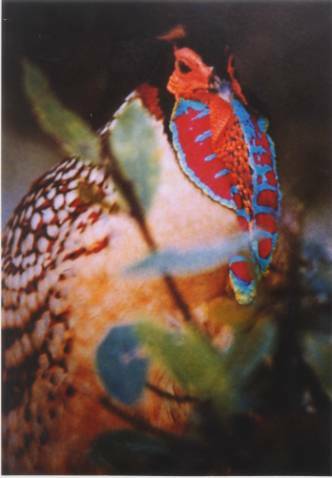 In August 2002, we had held the Chinese Pheasant Workshop in Beijing during the 23rd International Ornithological Congress. We will host the International Symposium on Galliformes in the southwestern city of Chengdu in October of 2007. WPA-China releases WPA-China News in the China Ornithological Society Newsletter in English twice a year. The news will bring the updated information of the activities of WPA-China and the progress of the pheasant research in China. The Office of WPA-China is at the College of Life Sciences, Beijing Normal University. If you want to known more about WPA-China, please contact us by e-mail or by post at the following address: WPA-China, c/o Prof. Zhang Zhengwang, College of Life Sciences, Beijing Normal University, Beijing 100875, China. Tel. 86 10 58809666(0). Fax 86 10 58807721. E-mail: zzw@bnu.edu.cn.